It’s a little known fact these days where Mother’s Day actually came from, but dating back to the 16th century, domestic servants were given the day off to return to their ‘mother’ church for a service as part of the Lent calendar. It has evolved over the years into what we now celebrate as Mother’s Day, when we give thanks to our own mothers. Q. What makes a good Mother's Day for you? A good Mother's Day for me is making sure my mother knows how much I love her and how much she is appreciated, and to spend it together. As I always say to my children, you only have one mother! Q. What do you enjoy about being a mum? Being a mummy is the greatest gift of all. As a mother you feel love for your child like you have never felt before. My children are my life, each one bringing their own uniqueness to my life. One of the greatest words in the English dictionary is ‘family’. Q. Why do mums need treating on Mother's Day? It’s not so much about the day. I love to read my card with words written from the heart. It's not about the money or cost, it's about the thought. And for working mums, it can be a fine balance, so why not celebrate together? Q. What three qualities would you like to instill in your own children? I try to instill respect, loyalty and confidence. If they have these qualities, then I know they will grow as people in life. 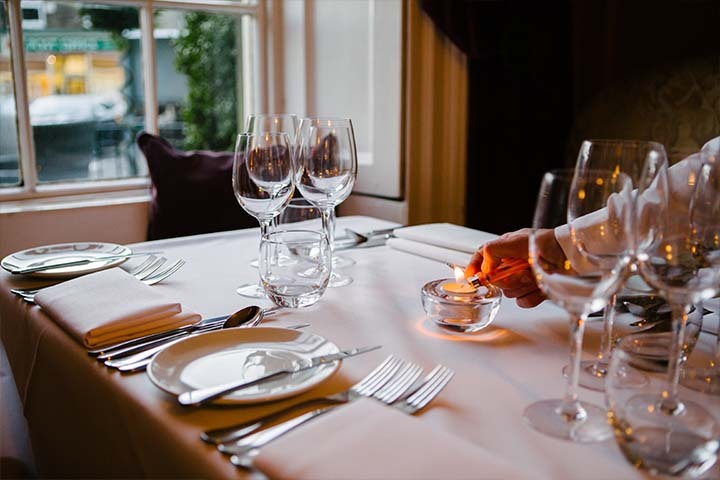 Grassington House will be hosting a special Sunday lunch on Mother’s Day, which is a three-course menu, including Goosnargh duck and Pateley ham terrine for starters and Grassington House 14-hour roast Pateley beef rump. Price is £24.50 per person, with a special gift for mothers.